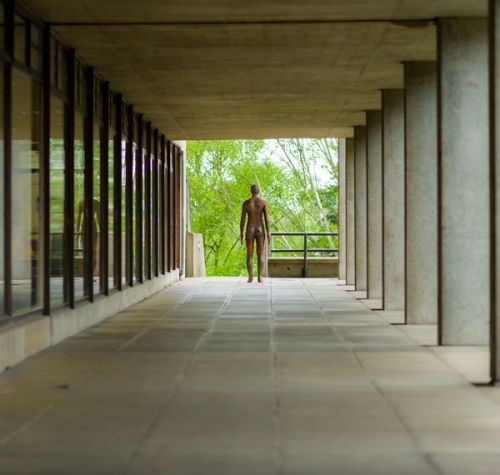 3x ANOTHER TIME comprises three life-sized cast iron sculptures selected from Gormley’s ongoing series Another Time (1999–2013) which has been presented in locations across the world. The sculptures will be placed around the university at different focal points and sightlines, including roof level. The artist describes the works as “still moments of lived time placed in place”. He selected the locations after being attracted to the important architecture of the university campus.